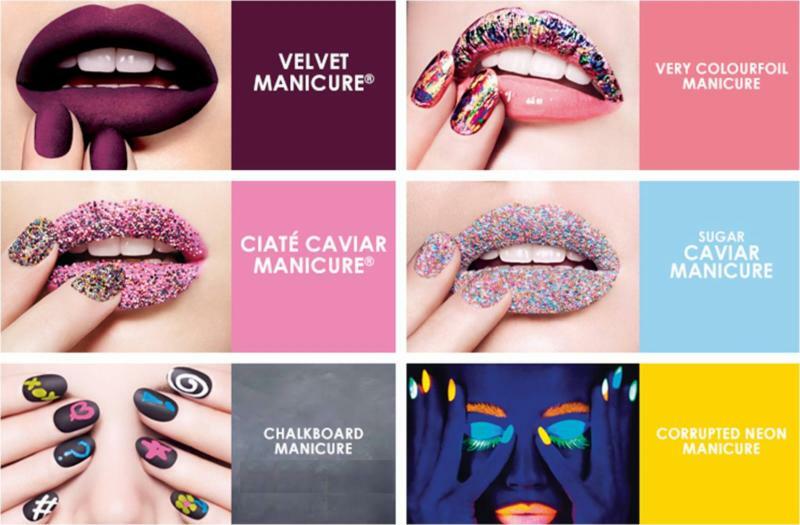 Ciaté has fast tracked its way to global success with it’s iconic 3D Caviar Manicure and has quickly become one of the most sought after, fashion forward nail brands to hit the market. Boasting a growth rate of over 500% in the last two years and strong distribution across 21 countries, it is clear to see that Ciaté is one of the hottest beauty brands of the moment. Nail art has quickly become a global phenomenon. The combination of its creativity and affordability has ensured that nail art is a huge trend for all generations – Ciaté continues to lead the way in the industry and hold its position at the forefront for nail art innovation and originality. In 2013 alone, Ciate has released over 30 creative product developments, including Velvet, Chalkboard, Feathered and Corrupted Neon manicure kits – Whatever you’re feeling, Ciaté can illustrate your mood! Ciaté is also renowned for producing stunningly beautiful and intensely pigmented colors, each developed to become modern cult classics synonymous with artistry and design. All Ciaté products are shaped by a strong belief that ‘beautiful nails need love, care and treatments’ and each and every product is formulated with the highest performance ingredients. Ciaté sets itself apart with features including a longer handle to provide the best stroke possible every time, a 250 bristle flat brush to guarantee a flawless, even finish and an ergonomically designed bottle to sit comfortably in your hand for maximum control. Each formula is chip resistant with long lasting color and range of exciting and transformational finishes to provide an effortlessly chic look. Ciaté has been spotted on famous manicured nails including Beyonce, Blake Lively, Rihanna, Adele, Jessica Biel and more. The line is sold at top department stores including Bloomingdale’s, Henri Bendel, and Lord & Taylor, and specialty stores including Sephora, Kitson and Sephora @ JC Penny ($15- $65; http://www.ciate.co.uk). This entry was posted in Beauty and tagged beauty product, Ciaté, nail art, nailart. Bookmark the permalink.